Despite our best efforts to minimise impulse buying we always end up with more than our homes can hold. This wouldn't be a problem if we all lived in palatial mansions but the vast majority of us have to try and cram a life's worth of clothes, books and trinkets into small homes. Sometimes it can feel like we are trying to achieve the impossible and it's tempting to give up altogether and let the clutter take over. Hold that thought! It doesn't have to be this way. With a little effort and ingenuity it's possible to create truly wonderful storage solutions that conceal all of your stuff without imposing upon your limited space… and without breaking the bank. Check out these amazing storage ideas for the ultimate in small home inspiration! Wow! What looks like a simple, boring staircase is revealed to be a shelving system capable of holding all manner of things. Kids toys, business folders, toiletries—the possibilities are endless! 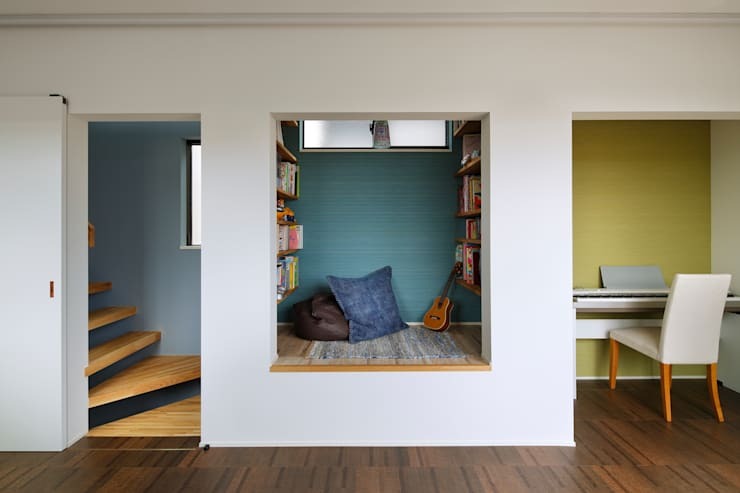 Many small homes also have the added annoyance of awkward, seemingly unusable nooks and crannies. Take the power back and install stacked shelves right up to the ceiling. You could even throw down a couple of beanbags and pillows to make a cosy reading corner. 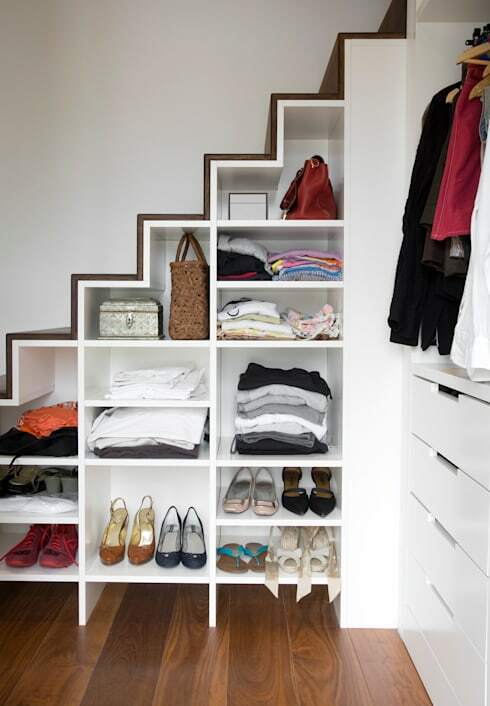 If you enjoy showing off your fashion sense or just want to incentivise yourself to fold your clothes properly, then take a hint from this super stylish solution and organise your shoes, bags and clothes into irregular geometric shelves tucked underneath the stairs. Living in a studio flat can pose many challenges, chief among them being the question of how to divide the space into living and sleeping quarters while still having enough storage space. This tall, modern bookshelf provides the answer and allows for the division of the room without scrimping on natural light and style. Oh, and it has more than enough space for all of your books and magazines, too! This long, thin room could have caused major problems for a less imaginative inhabitant. Fortunately, they decided to optimise the limited space they had by choosing a slightly higher bed and slotting matching storage boxes underneath. The result is delightfully symmetrical and manages to make a claustrophobic small room look relaxed and inviting. 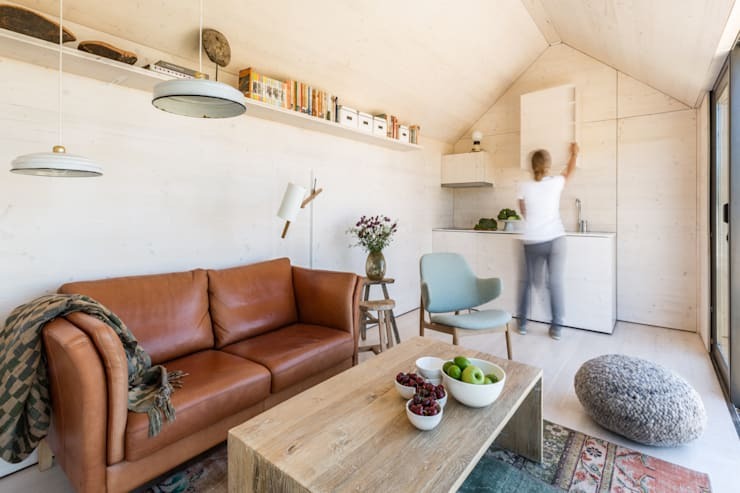 This tiny home has certainly made the most of the wall space by sticking small but strong hanging spheres throughout the flat. 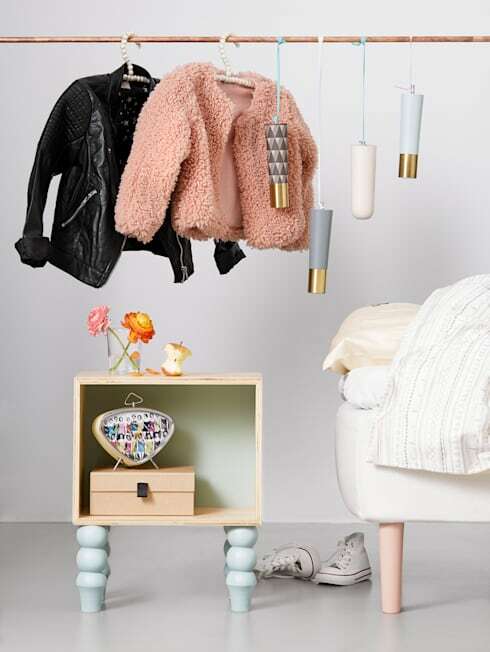 The balls act as both quirky decoration and a place to hang bags, jackets, keys and necklaces. Keep clutter out of the main living spaces and tame it in the bedroom! 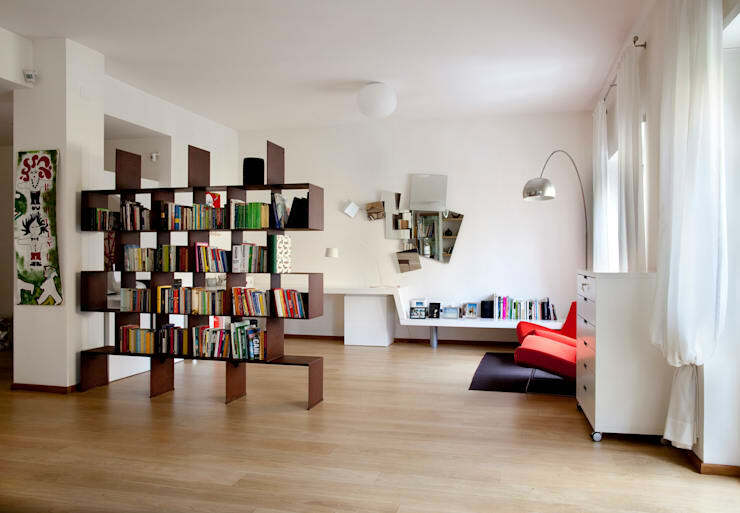 This room uses wall-length in-built shelving to neatly organise books, DVDs and photographs. 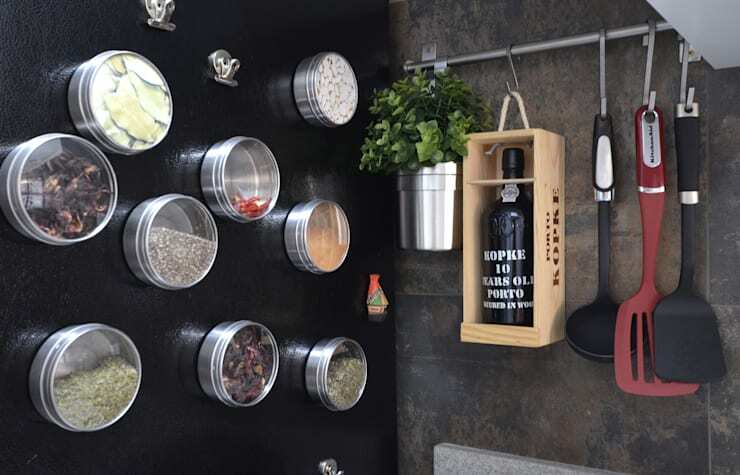 The artful arrangement makes it look more like a decorative feature wall than a clunky storage solution. These magnetised jars were originally meant to be used for kitchen herbs but they could hold all kinds of small objects. Earrings, nuts and bolts, makeup and coins are all must haves that seem to end up scattered haphazardly around our homes and all would fit perfectly in these nifty little cylinders. When we think storage we usually think the options are either lateral or vertical. Why not both? 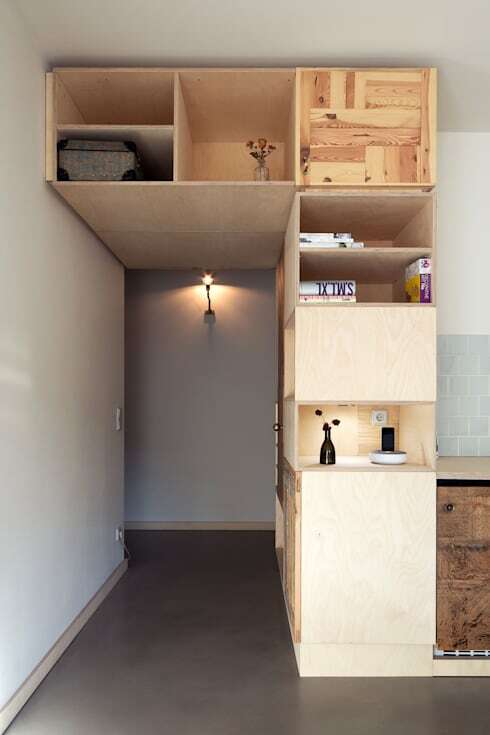 This amazing house features wraparound doorway storage made of MDF and wooden crates. Genius! Need somewhere to stash your clothes but don't have room for a wardrobe in your bedroom? Be inspired by this brilliant creation from Chasewood Furniture. You're welcome! This window seat looks normal but you'd never guess that under the cushions lies a whole new world of storage space! 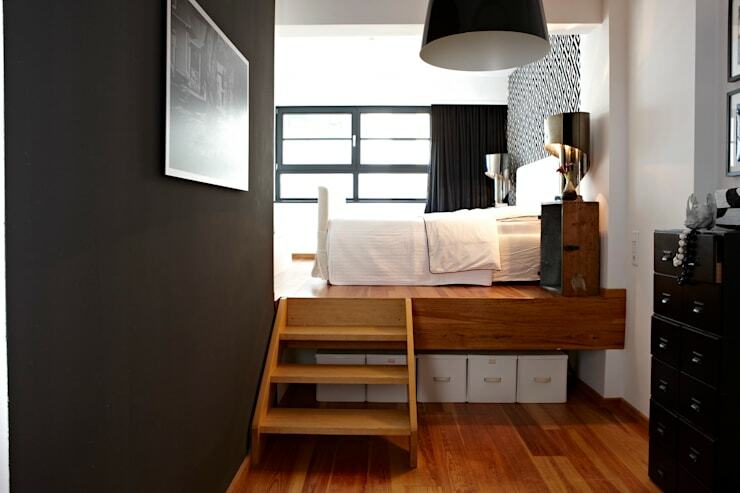 This tiny bedroom is saved from looking dark and crowded by the raised platform bed with ample storage space underneath. This option is, in a way, even better than simply popping boxes under a bed as it allows easy access to all of the boxes that would otherwise be sat underneath gathering dust. Looking for more small space inspiration? 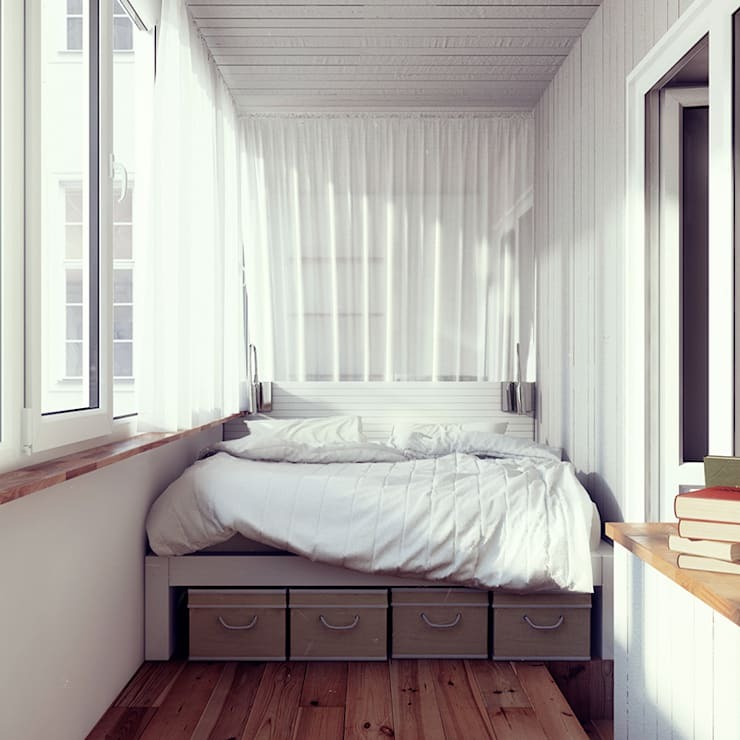 Check out:6 Space-saving Solutions for Small Homes. 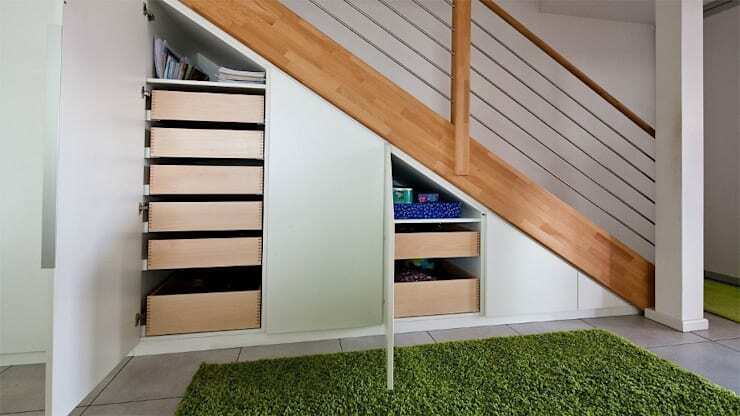 Which of these amazing storage ideas will you be trying? Let us know in the comments!